Located in Kampong Glam, Village Hotel Bugis is within a mile (2 km) of popular sights such as Raffles City and National Museum of Singapore. This 393-room, 4-star hotel has 2 restaurants, an outdoor pool, and a 24-hour fitness centre. Enjoy dining at Mooi Chin Palace, one of 2 on-site restaurants. Savor a meal from the privacy of your room with room service, or get a pick-me-up at the coffee shop/café. For your convenience, a continental breakfast is served for a fee each morning from 6 AM to 10 AM. Guests can enjoy a Smart TV and stay connected with free WiFi. The bathroom offers hairdryers and free toiletries. Other standard amenities include a coffee maker, free bottled water and a safe. 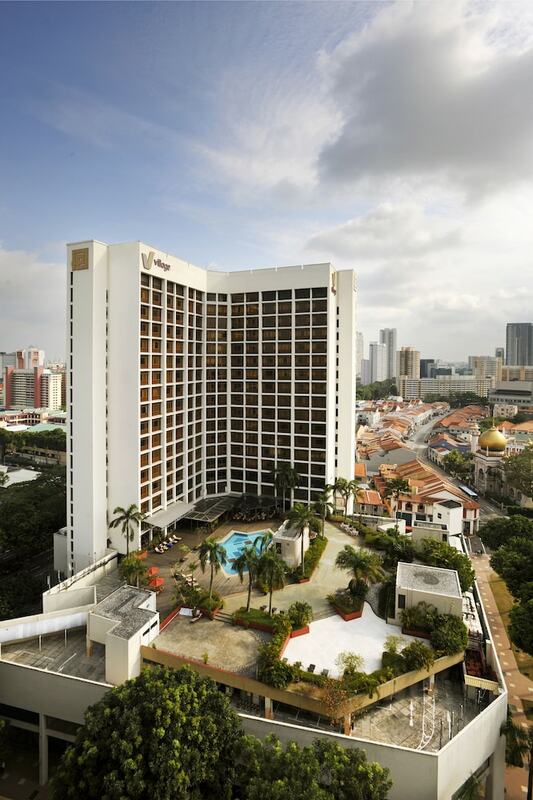 Guests of Village Hotel Bugis have access to an outdoor pool, a 24-hour fitness centre, and free WiFi in public areas. There's free parking and an area shuttle for a fee. The front desk has multilingual staff on hand 24/7 to help with concierge services, securing valuables, and dry cleaning/laundry. Additional amenities include laundry facilities, a porter/bellboy, and reception hall. Dining is available at one of the hotel's 2 restaurants, and guests can grab a coffee at the coffee shop/café. Public areas are equipped with complimentary wireless Internet access. Village Hotel Bugis features an outdoor pool and a 24-hour fitness centre. 3 meeting rooms are available. This business-friendly hotel also offers multilingual staff, concierge services and laundry facilities. Limited complimentary on-site parking is available on a first-come, first-served basis. Village Hotel Bugis is a smoke-free property.